Marechal hazardous area plugs and sockets offer an extensive and comprehensive product range for all industrial electrical power applications in Zone 1 & Zone 2 Hazardous Areas with power currents varying from 10A to 680A with up to 1,500 volt power supplies. Typical applications for explosion-proof hazardous area plugs include mobile machinery, portable plant, wellhead control panels, mobile skid units and offshore heavy power, data and signal distribution. 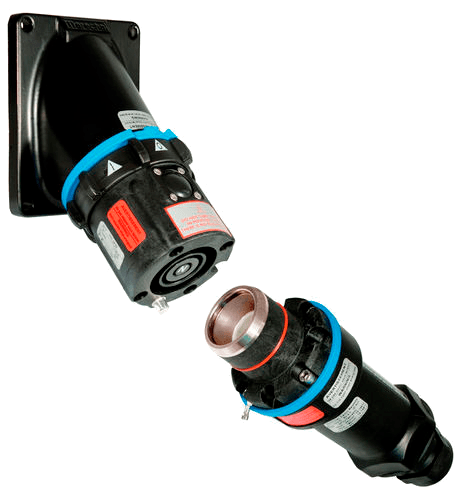 Thorne & Derrick are Approved Main Distributors for Marechal Hazardous Area Plugs – contact us for competitive prices, fast delivery and expert technical support to enable the selection and specification of the correct plug, socket or decontactor for all industrial and hazardous area power distribution applications. 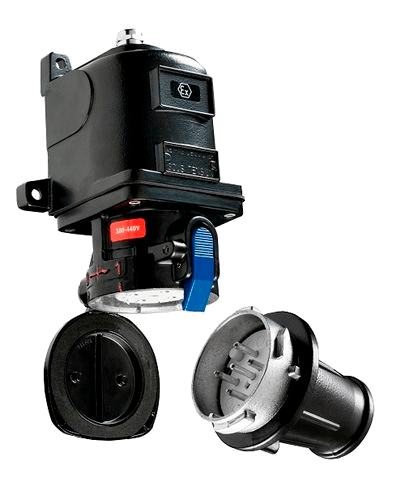 A Decontactor® is a plug and socket outlet system with an integrated power switch permitting absolutely safe connection and disconnection of electrical equipment with plug-and-play simplicity. 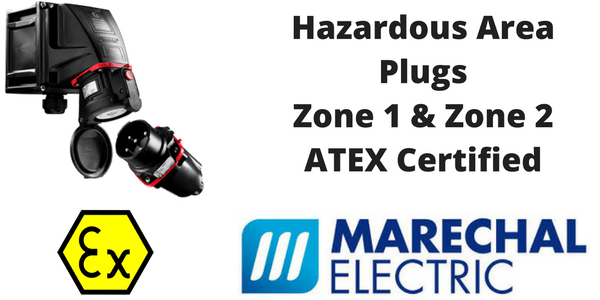 Marechal plugs combine electrical safety and reliability for power control and distribution in hazardous area industries where explosions are a real risk – plug and socket assemblies are suitable for flammable gases and vapours classified according to ATEX as Zone 1 & Zone 2 hazardous areas. Decontactors = Plug + Socket-Outlet + Motor Load Make/Break Switch. 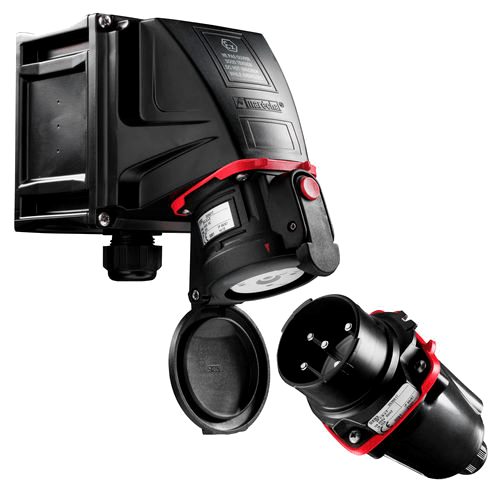 No ordinary plugs and sockets, Marechal Decontactors permit safe connection and disconnection of electrical equipment from live power supply, with no requirement for hard-wiring or contactor. Visit our Blog to discover how Marechal decontactors provide safe and reliable low voltage power to all industries. 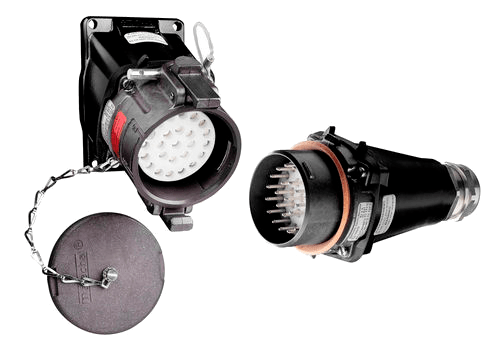 ➡ For complete information, specifications and technical data about Marechal Hazardous Area Plugs please refer to the product sections below – contact T&D to discuss applications for hazardous area plugs and sockets for potentially explosive atmospheres including Zone 1 & Zone 2. Food & Beverage. 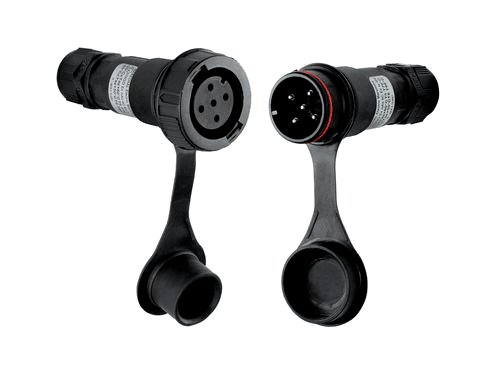 Waterproof plugs (IP66 IP67) withstand high pressure cleaning, spray and humidity. Oil & Gas. ATEX plugs certified for hazardous area Zones 1/2 (gas) and Zones 21/22 (dust). Heavy Industry. Electrical power plugs up to 750A with safe disconnect under load.